Male Mallard Green is such a distinctive color. 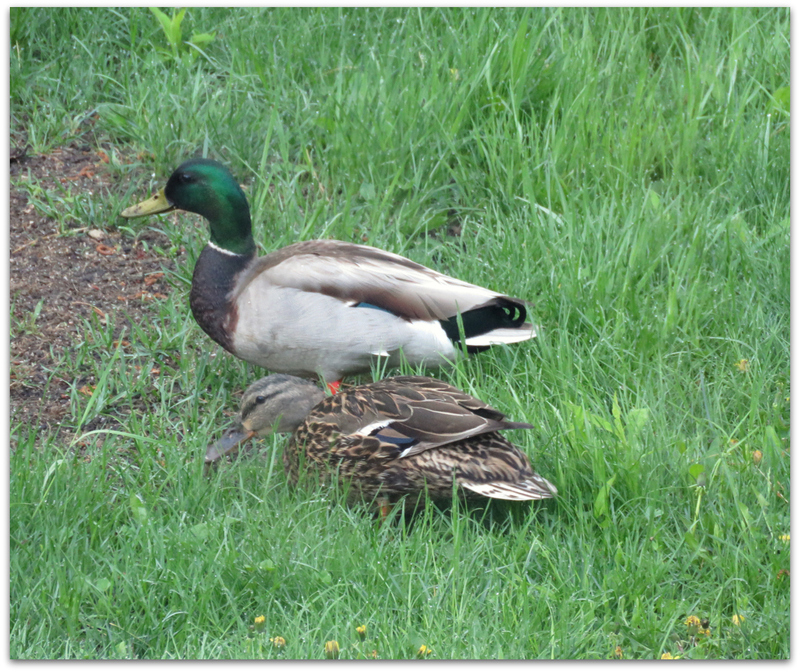 A pair of mallards were swimming on the pond the other morning. In spring we have many bird visitors just passing through. This entry was posted in Uncategorized and tagged birds, Mallard on March 11, 2016 by Amy. 6 a.m. Pouring coffee. Looking out the kitchen window. Something is on the lawn. It takes my brain a moment to register the fact: I am looking at ducks. First time I have ever seen any in our immediate backyard, rather than out by (or in) the pond. 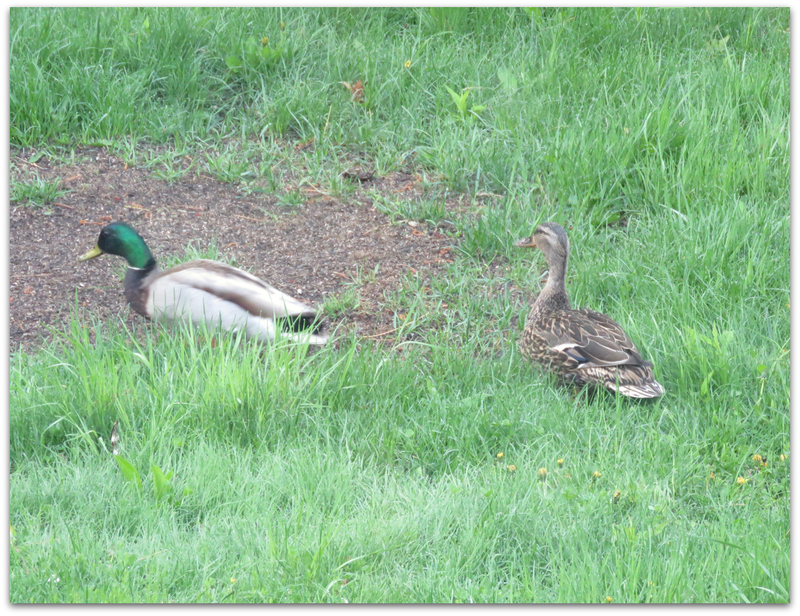 A pair of mallards was scouting the spot where the pole bird feeder was in winter, still thick with sunflower hulls. They wandered all over the backyard. It was so early I hadn’t let the chickens out yet. I watched them for about 10 minutes, moving from one window to another. Then they flew away. 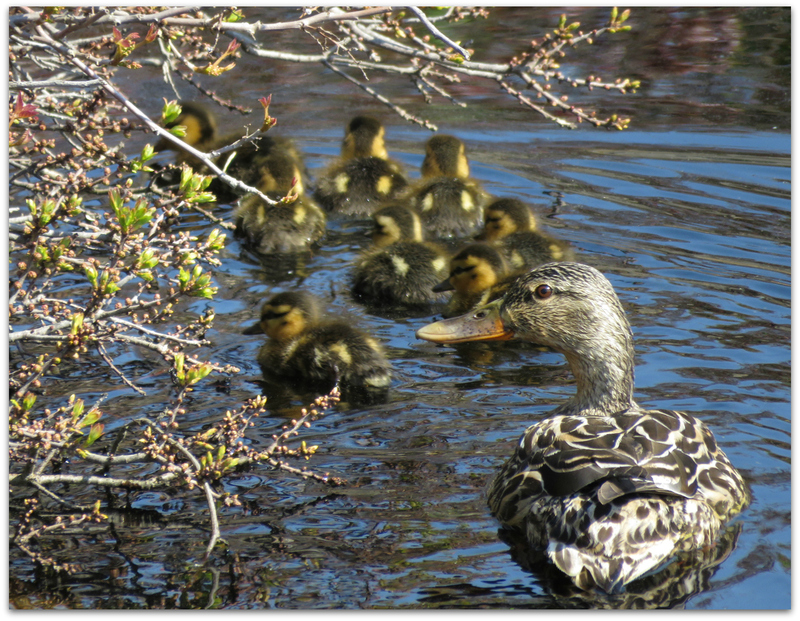 This entry was posted in Uncategorized and tagged Mallard on May 15, 2015 by Amy.